Reduce metal turnings and bulky wads into shovel-grade chips with a vertical axis crusher. 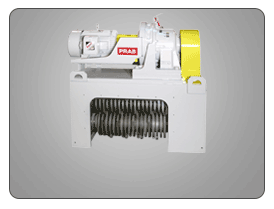 The PRAB vertical axis metal crusher provides continuous, positive feed operation for high volume scrap reduction on the plant floor. 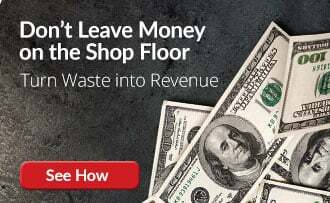 Nested wads of metal turnings take up valuable floor space, are a safety hazard and have reduced scrap metal recycling value due to added processing costs. 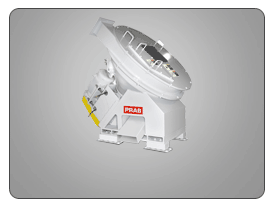 The PRAB vertical axis crusher is one of the most effective pieces of scrap metal processing equipment for quickly and safely creating flowable, thumbnail-sized chips from wads of turnings. Reduce volumes of large bundles and stringy turnings. This scrap metal equipment delivers dry, shovel-grade chips and reclaims up to 98% of valuable coolants and cutting oils. The vertical axis crusher maximizes labor allocation by providing continuous, positive feed operation and automatically removes occasional solids to prevent equipment damage. 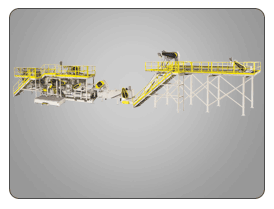 Turnings are fed into the crusher’s feed hopper either by self-dumping hoppers, a plant-wide conveyor system, or an automated dump system with standard barrels or chip carts. The crusher’s feed hopper housing -with fixed cast cutters and rotating cutter- then directs the material down into the fixed and rotating cutter rings, where the material is reduced to flowable thumbnail sized chips. 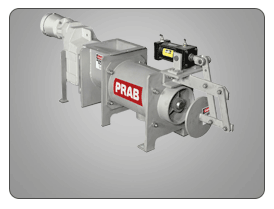 The exclusive, PRAB-designed solids ejector automatically discharges bar-ends. This critical component protects the scrap metal equipment from damage, virtually eliminates downtime from lodged parts, and maximizes labor allocations. ask for a FREE test drive. *Feed hoppers are required to facilitate loading (available in multiple sizes).